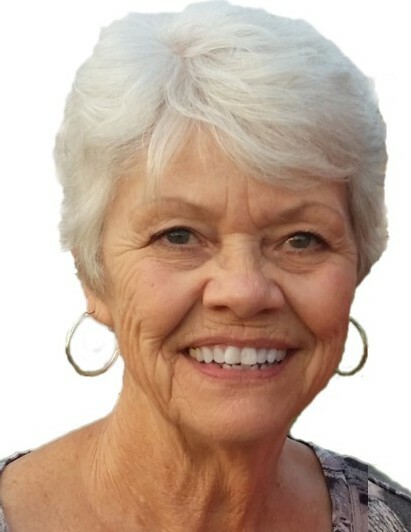 Shirley Ann Hughes, age 70, of West Liberty, Ohio passed away Tuesday morning February 5, 2019, at her home. She was born in Hillsboro, Ohio September 8, 1948, and raised in Morehead, Kentucky by her late parents Burley and Zella (Kegley) Johnson. She was also preceded in death by a son, Bradley R. Hughes; five sisters and three brothers. Shirley married Robert R. Hughes December 31, 1989, and he survives in West Liberty. She is also survived by her children, Jennifer L. Eaton of North Lewisburg, Ohio, Brian L. Hughes of West Liberty, and James E. Hughes of Sidney, Ohio; seven grandchildren, James Hughes, Christopher Hughes, Allyssa Eaton, Brianna Eaton, Cayla Eaton, Connor Eaton, and Avery Eaton; a sister, Carrol (Ronald) Shroyer of Mesa, Arizona and a brother, Donald (Ina) Johnson of Tutor Key, Kentucky. Shirley worked with her husband as a bookkeeper. She always had a warm smile and loved her family and friends. Shirley was a member of West Liberty Church of God. The family would like to send a special thank you to hospice nurse Cindy McClain and aide Therese Miller along with other staff of Universal Home Health and Hospice. Visitation will be held at the Eichholtz Daring & Sanford Funeral Home in West Liberty Friday, February 8, 2019 from 10 A.M. until 12 noon. Pastor Ron Irick will officiate the memorial service at 12 noon at the funeral home. Burial will follow the memorial service at the Fairview Cemetery in West Liberty. The arrangements are being handled by the staff of the Eichholtz Daring & Sanford Funeral Home in West Liberty.